Benefits if you’re looking to earn: - Little work for fun and earn out of it. 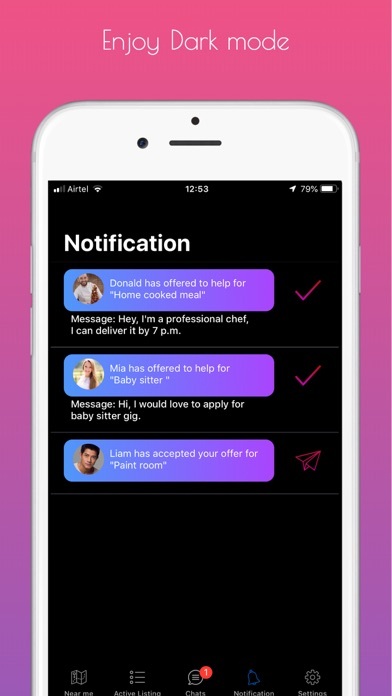 - Get notified when your offer is accepted. 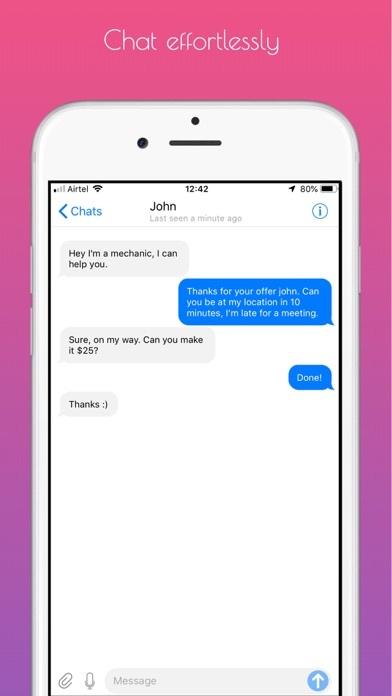 - Chat with clients - Low paying to high paying gigs - You will never be unemployed again - Anyone with a phone can earn - Easy to do jobs - No stress - Earn how much ever you want to - Time flexibility - Work whenever you feel like - No dress codes unlike other jobs - See gigs on map and experience a great UX - No spam - Complete security Benefits if you’re looking to get anything done instantly: - Suurp is the easiest and fastest way to get things done. - Post gigs anonymously. - Now be productive with your daily tasks and only do things by yourself that matter. - You don’t have to worry anymore about running your basic or complicated errands. - Save time and money and let other’s do your tasks for you. - Don’t have to hire professionals who charge a hefty amount of money to do basic things. - After accepting offers for help, chat with your one-time​ employee. - Pause or delete gigs anytime you want. - Choose from hourly or fixed-pay. We’ll be adding many more features for you. Let us know how we can guide you, our team is available 24/7.